Hello to all, over the past couple weeks I may have lost some site request and other e-mails regarding outstanding issues. If anyone has outstanding issues and need for us to follow up please create new ticket in your account under help desk. Please include subject as 'Priority' for absolute quickest response. If a phone call is requested in the ticket we will phone you at your available timeframe. Apologies once again for any inconveniences caused. What a way to finish a season! With the final round of the 2015 King of Europe Drift Series being held deep into Eastern Europe the RHDJapan Works AE86 performed at full potential by the Blue Elise Drift Team. After many years of building Pilot and Doctor Clemens-sensei finally has the perfect setup and fine settings dialed in. 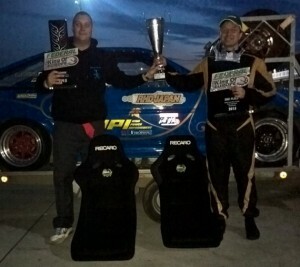 Finishing up at the Solvakiaring the Blue Elise got at the top of the podium for The Polish Drift Series and The Street Legal Class of King of Europe. Finishing out the King of Europe ranked in at #2 and leaving Slovakia with 3 more trophies to put on the mantle, 2 Recaro Bucket Seats as prizes and 1 overwhelming feeling of a great year! It is a big honor for RHDJapan to be a part of this team and we would like to give a special thanks to SARD, HPI, APP, Nagisa Auto and Super Now for helping to supply a variety of top quality tuning parts giving that extra competitive advantage!